Volvo Penta have announced that exhaust mixer elbows for Volvo Penta "Compact" units are not available until September 2013. 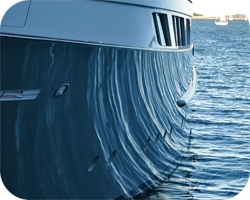 Stainless risers are now exclusively available through Ropewalk Marine. These items are not only an up-rated product, but they will be made available the week commencing 12th August 2013. Link to new article here. 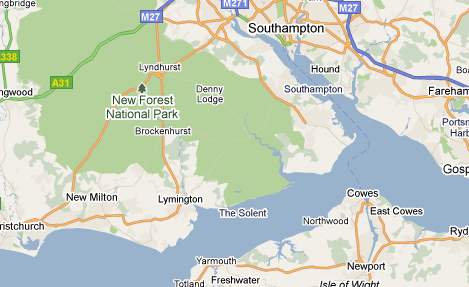 Ropewalk shall be exhibiting at Lymington Yacht Haven's open day on Sunday 19th August 2012. Limited quantity of cut price service kits for Volvo Penta engines of all shapes and sizes. Ropewalk's popular promotion of "Free Engine Installation" shall be extended for quotations provided at the exhibit. Free technical advice and assistance shall be available from a team of fully qualified Volvo Penta Technicians. There will be lots going on, with promotions and displays from all of the onsite services available at this popular "boating hub" in Lymington. To see more information on Lymington Yacht Haven's Open Day please click here. The Engine database contains information from 1907 forward>> Click here to access. We have posted this on this Blog, to help publicise the fact that our service area for all Volvo Penta works encompasses more than our home town of Lymington. Please note that this wide working area is not limited to customer wishing to deal with a Volvo Penta Specialist, but also our other services such as Shipwright, Boat Valeting, Fuel Treatment and other works. The annual price includes a monthly wash down every month for the next 11 months, to include cleaning all external areas. This is priced at £250 one off fee + £10 per foot for the year. This equates to £750 +VAT for a 50 foot boat. Initial valet of the engine/s and engine space and vessels heads followed by bi-monthly clean of the heads areas and engine space, reporting any fluid losses, etc. This is priced per engine at a cost of £225 for a single engine plus £2.25 per foot or £325 + £3.25 per foot for twin engine vessels. This equates to £487.50 +VAT for a twin engine 50 foot vessel. £500 + £12.50 per foot making the combined cost of £1125 +VAT for the package for a 50 foot boat. The BMF have previously reported that the Sulphur Free Gas Oil regulations will come into force on the 1st January 2011. These new regulations will make it an offence to sell red diesel with a sulphur content of more than 10ppm (current level 1000ppm) for use in inland waterway craft and recreational craft that do not go to sea. The petroleum industry advise that some suppliers will use road fuel with the familiar ‘red dye’ to supply off road and marine craft fuel. However, road fuel contains up to 7% FAME (bio-fuel) and may prove problematic with some, particularly older, installations and increase the risk of biological contamination or ‘diesel bug’. The British Marine Federation attended a meeting regarding the Fuel Quality Directive on Friday 22 October. At this meeting initial estimates were by the Department for Transport were revealed, indicating that a minimum of 75% of gas oil supplied to distributors would have no added FAME (fatty acid methyl ester or bio-diesel) content. Following the extensive lobbying on the supply of FAME free fuel by the BMF, this would be a great result for the industry. Whilst there are a few technical issues to be aware of, the availability of sulphur free oil without any FAME continues to be investigated. At the present time a few independent oil suppliers have indicated their intent to supply this type of fuel but as yet none of the major producers or the Federation of Petroleum Suppliers have made public their intentions. The definition of inland and at sea, for the purposes of this legislation were also discussed and the BMF reiterated its view on behalf of the wide industry. The purpose of publishing this "Blog" is to draw your attention to the situation and to strongly recommend that you contact your regular fuel supplier in order to establish exactly what fuel they intend to supply as from 1st January. The importance of receiving fuel without FAME is evident and suppliers should be urged to investigate the situation to provide as much clarity as possible. The BMF will be producing a full industry guidance note on the supply, storage and use of fuel with a FAME content and would be grateful for feedback from members on this critical availability issue. Wear and Tear Pads comprise strips of ultra thin, flexible, laser cut marine grade stainless steel, fitted with a high specification self adhesive double sided backing, ready for immediate application. They can be fixed semi-permanently to any flat or curved gelcoat or varnished surface. What limitations do WearAndTearpads have? ‘WearAndTear pads’ will not stretch around complex curvatures. They are therefore only suitable for straight sections of cabin tops and cockpit sides, etc.